First settled by William Kent in 1844 when he came looking for lumber for ship masts. Built a lumber mill powered by Osceola Creek. Other industries followed along with a flour mill in 1852. First called Leroy in honor of Leroy Hubbard the first white man to die here. Later changed to Osceola Mills and finally around 1900 to Osceola after the Indian chief and the first boat built in the St. Croix Valley. 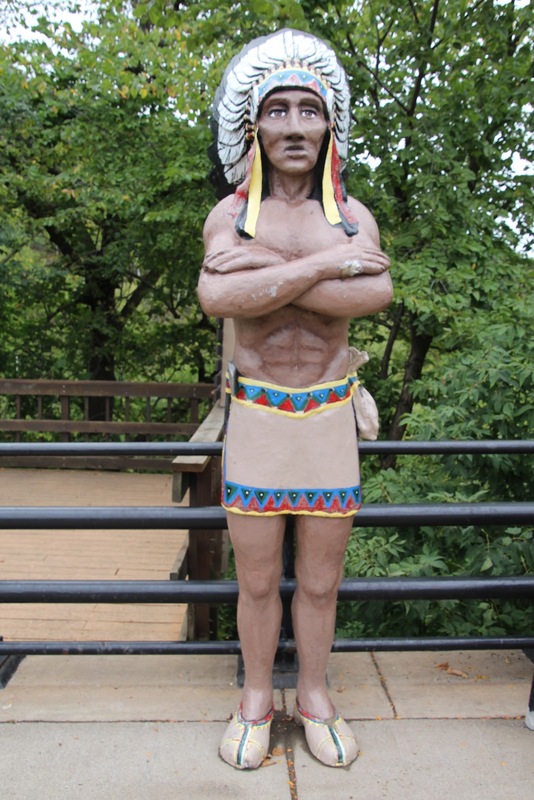 The marker is located at Wilkie Glen and Cascade Falls on southbound North Cascade Street / Wisconsin Highway 35, north of its intersection with Osceola Road / Wisconsin Highway 243, at 101 North Cascade Road, Osceola, Wisconsin 54020. See also, Cascade Falls, also at this location. Chief Osceola, I presume . . . The Cascade Falls marker is also at this location. The marker is located in Osceola, Wisconsin.